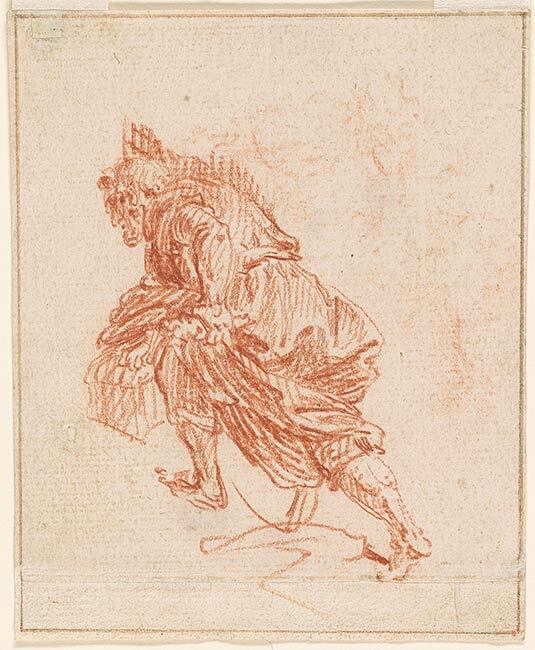 Red chalk on paper; framing line in brown ink over red chalk. Gift of Otto Manley in honor of Miss Felice Stampfle. Charles Martyne (no mark; see Lugt 1800); Otto Manley, Scarsdale, New York. 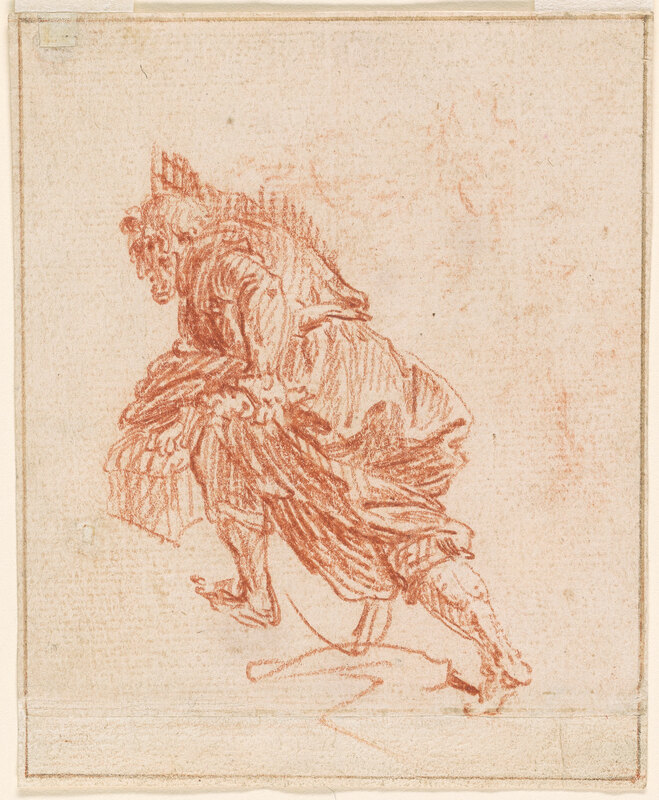 Strip of paper (3/8") added at lower edge of sheet. 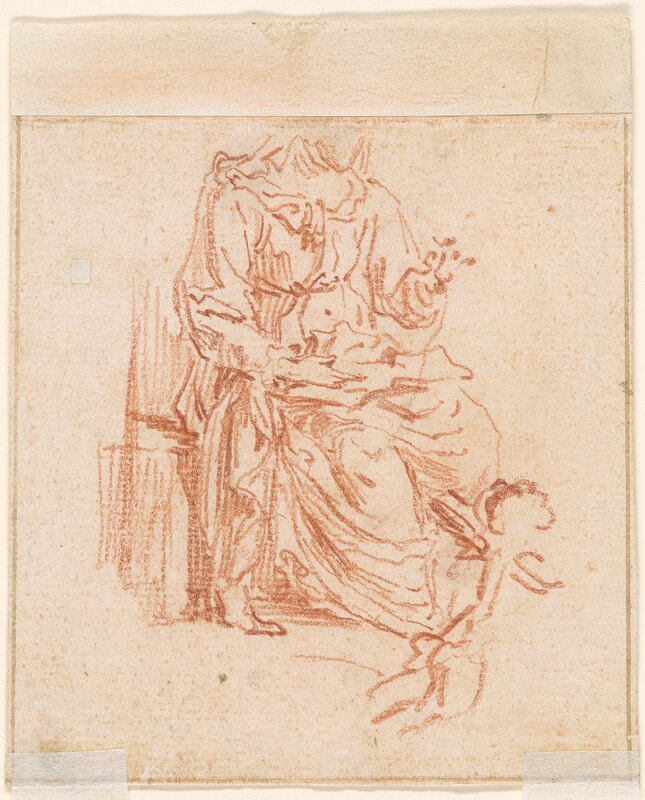 Recto: possibly a study for the figure of St. Joseph for a Flight into Egypt.